“IUVENTA” NOW ON DVD & AMAZON & CO.
For us it is a film about a generation which takes hand on, moves things, rescues lifes and makes it right. 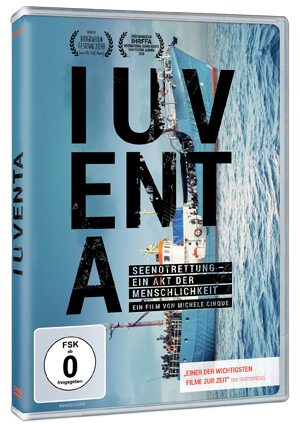 : IUVENTA, our coproduction with LAZY, RAI und ZDF/3SAT by Michele Cinque now on DVD and VIDEO ON DEMAND! Yesterday our director won the Guerilla Staff Award at the Bologna Film Festival. We would also like to mention the two Special Mentions the film received as well. “SUMMER SOLSTICE” is out now on DVD and BLUE RAY ! “SUMMER SOLSTICE” will run for the first time in the USA at January 4, 2016. We are excited about the inviation from the International Film Festival Palms Spring where the film will be shown within the “World Cinema Now” program. Screenings: January 4, 2016, 7pm und January 6, 2016 7pm, each at the Palms Springs Regal 9. “Summer Solstice” wins at the 23. 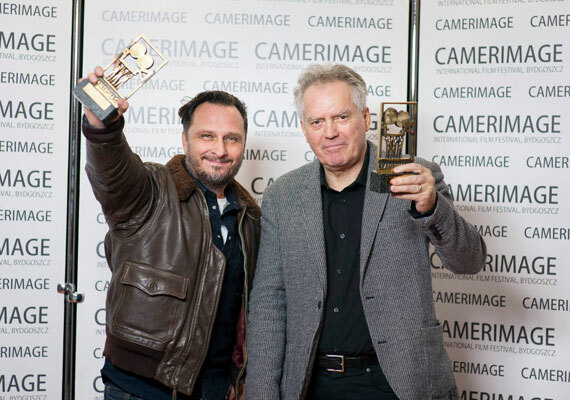 Cameraimage Filmfestival in Poland, honoured for the best Polish Film. We are excited! Concratulations to our partner Prasa i Film. “Summer Solstice” goes home to the Filmfest Cottbus where the co-production had been initiated in 2009 when writer/director Michal Rogalski (Prasa i Film from Warsaw) and producer Thomas Jeschner (Sunday Fllmproduktion from Halle) met and determined to found a german-polnish cooperation. The film will be shown within the Polski Horyzonty program at 9 pm tonight, Obenohne-Kino. Our documentary “LAND ON WATER” is the winner of the National Competition at the 58. Dok Leipzig Filmfestival. This long-term observation by director Tom Lemke shows the life in a ghost village and tells about men who continue to rise up against the regional opencast mining, despite the fact of knowing that they cannot defer the end. We are proud to be invited for “Summer Solstice” to the 49. Hof International Film Festival (Oktober 20.-25. 2015), where our German-Polish coproduction will be shown for the first time in Germany. Friday, October 23, 8:00 pm at the Hackesche Höfe in Berlin statt. We are proud to announce that our long-term observiation “Land on Water” by Tom Lemke will be shown at the national competition of the 58. International Leipzig Festival for Documentary and Animated Film. “Summer Solstice” wins at the Polish film festivals in Gdynia located at a beautifull beach at the baltic sea. Our director of photography Jerzy Zielinski was honured for best camera and Agnieszka Krukówna has been given the price for the best supporting actress. Concratulations! We are looking foreward to the start of the German premiere tour! Our german-polish co-production “Summer Solstice ” receives the award for the Best Screenplay at the Montral Film Festival. Concratulations to our writer/director Michal Rogalski! We are excited! Our German-Polish co-production “Summer Solstice” will start at the Montreal Film Festival. It will be part of the World Competition. 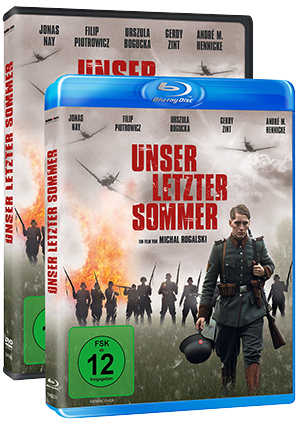 The German cinema release is scheduled for October 22, 2015. More information coming soon. The Mitteldeutsche Medienförderung and Sunday Filmproduction speak against the world dominance by a woman called “Ms. Sugar”. They support the eight year old girl Maggie, which started fighting the evil witch. “Ms. Sugar wants to rule the world” is an film adaption of a musical by Peter Lund. It will be directed by Till Hastreiter. Sunday Filmproduction is developing the script, funded by the Mitteldeutsche Medienförderung. Today, near Wroclaw (Poland) marks the first day of shooting for German-Polish feature film SUMMER SOLSTICE. During the 32 days of shooting, the Polish director Michael Rogalski tells a seemingly ordinary history of the Polish Province. During the night of the summer solstice three young people get together. The German GUIDO (17) and the Polish ROMEK (17) and FRANKA (16) experience their first love. Thus they escape the cruelty of the surrounding war and in turn put themselves equally at risk. Set in the summer of 1943, in front of the gates of Auschwitz. The German characters in the film are filled by; JONAS NAY (HOME VIDEO, KING OF GERMANY) as Guido, GERDY ZINT (COMBAT GIRLS) as Odi , ANDRÈ HENICKE (ANTIBODIES, BUDDAHS LITTLE FINGER) as a sergeant, and Steffen Scheunemann (THE MOON AND OTHER LOVERS) as lieutenant. The film will be produced by the Polish company PRASA i FILM from Warsaw (ALL THAT I LOVE) in co-production with the SUNDAY FILMPRODUKTION from Halle, the Berlin MAFILM (Combat Girls), Broadcasting Berlin-Brandenburg (rbb editor: Cooky Ziesche) and the recording studio STL from Leipzig. The project was initiated by the co-production market “Connecting Cottbus” who was sponsored by MDM and MBB. It is also part of the film initiative LEUCHTSTOFF from Broadcasting Berlin-Brandenburg (rbb) and the Media Board Berlin-Brandenburg. SUMMER SOLSTICE is supported and sponsored by the Polish Film Institute (PISF), Central German Media Fund from Leipzig, the Media Board Berlin-Brandenburg, the German Federal Film Fund and the Federal Film Board. The film is produced around Wroclaw, Warsaw, around Riesa (Saxony) and the surrounding area of Lübben (Brandenburg). The film will be released by farbfilm Distribution to German cinemas in the spring of 2015. The Mitteldeutsche Medienförderung (MDM) at their meeting on April 16th decided to award the documentary film project “Country for one man” with production funding. The Leipzig director Tom Lemke tells the story of a man who has lived in the same village for over ten years, when in fact the village has long ceased to exist. He can’t move on and instead continues to live in his small paradise as if there was no tomorrow. On Sunday, the 17th March at Luchs-Cinema, Halle, the film team, actors, and numerous guests celebrated the premiere of the short film “His Greatest Trick” by Martin Menzel. The staff of the Paul-Riebeck Foundation were also invited, as they let us use their rooms on Kant Street for shooting the film. After 24 fast-paced minutes, there were lots of applause, a lot to talk about and plenty of congratulating. René Frotscher – producer of Sunday Filmproduction – wins the Bronze Lola for “Best Picture” given by the German Film Academy for the feature film “Combat Girls”. The movie was produced by the production company Mafilm based in Berlin. The shooting of “Combat Girls” took place in Central Germany’s Bitterfeld-Wolfen, Delitzsch and Dessau in 2010. 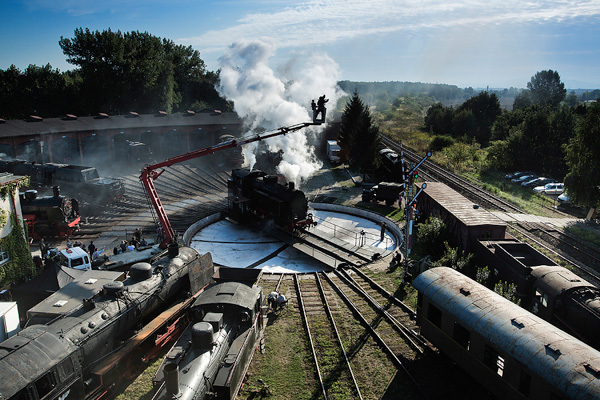 The last scenes of the short movie “His Greatest Trick” have been shot in Halle. The short film directed by the Halle based filmmaker Martin Menzel tells the story of a nurse helping an old magician who suffered from a stroke by arranging a very special farewell performance for him. The shooting took place from March, 5-10 in the residential home for the elderly of the Paul-Riebeck-Stiftung. Co-Author of the story is Eike Goreczka. The production is supported by the MDM – Mitteldeutsche Medienförderung. The short film “White Lobster” by David Lale is honoured by receiving a “Special Mention” at the Berlin Today Award 2012. “Every step you take” has been the theme of the competition, where five filmmakers made it into the finals. The award competition is a part of the Berlinale Talent Campus. The Mitteldeutsche Medienförderung – the regional film fund of Central Germany – funds the development of “Schaustein” – a Sunday feature film project. The creative leader in the development is the Leipzig based novelist Christian von Aster, who considers himself to be a genre borderliner. Von Aster works together with his favorite “cinema screen exposure man” – Christian Klandt, who in our world would simply be called “director”.